Are you looking for a proven, low-risk approach to investing directly in the stock market? Do you want to accelerate your wealth using simple stock market investment strategies? The bestselling author of How to Beat the Managed Funds by 20%, Dale Gillham, provides you with another compelling book on why investors and traders should take the bull by the horns and invest directly in the stock market. With Dale’s no-nonsense approach to trading, everyone from millennials to those in retirement will gain the confidence and know-how to achieve very rewarding returns. 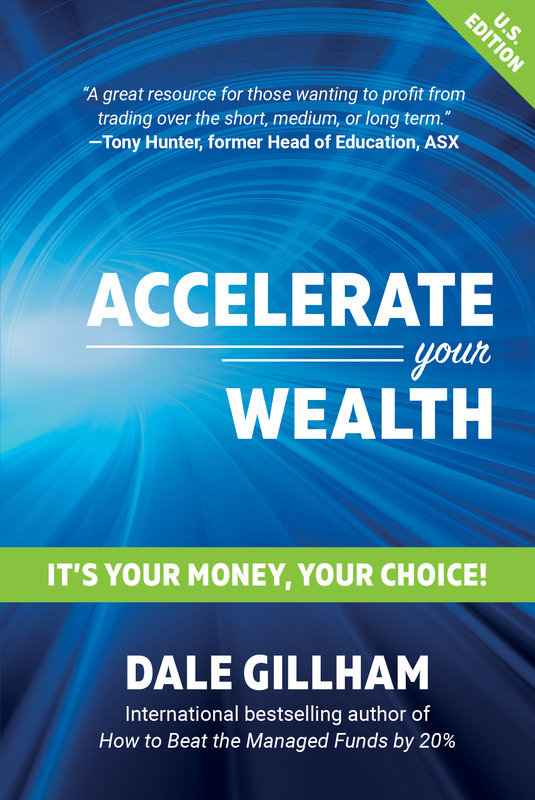 Those who follow the strategies outlined in Accelerate Your Wealth can achieve better returns than the majority of professionals and pocket the fees they would otherwise pay to have someone else manage their money.